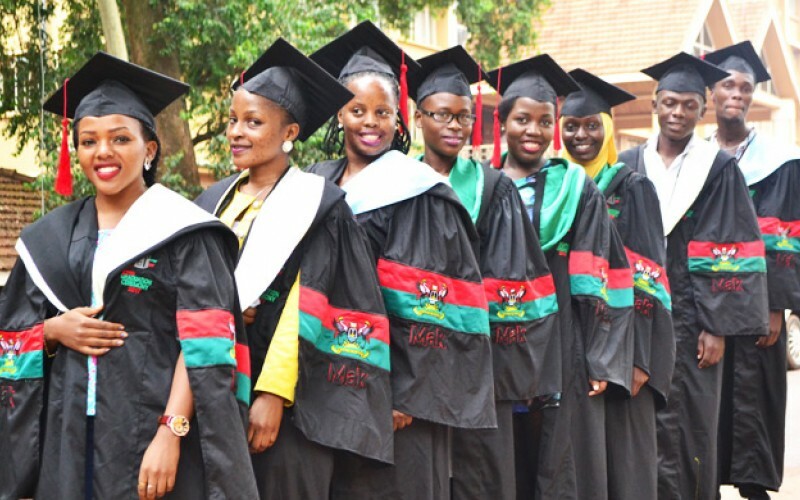 KAMPALA – With over 12,000 Makerere University upcoming graduands are walking up and down the campus in the quest for their missing marks and clearing for the award of transcripts, the university has released the 69th graduation programme that will last for four days. According to the University Academic Registrar, Alfred Masikye Namoah, the program will kick off on January 15 with four colleges: College of Natural Sciences (CoNAS), College of Agriculture and Environmental Sciences (CAES), College of Education and External Studies (CEES) and College of Health Sciences (CHS). Students from Makerere University Business School (MUBS) and the college of health sciences will graduate on Thursday, January 17. Speaking to this website, Mr Alfred Masikye Namoah, said over 10,000 students are expected to graduate in January. Masikye said they will, however, be subjected to the full payment of the necessary convocation, graduation, transcripts and tuition fees. Issuance of graduation documents and gowns is ongoing at Makerere, Senate building.